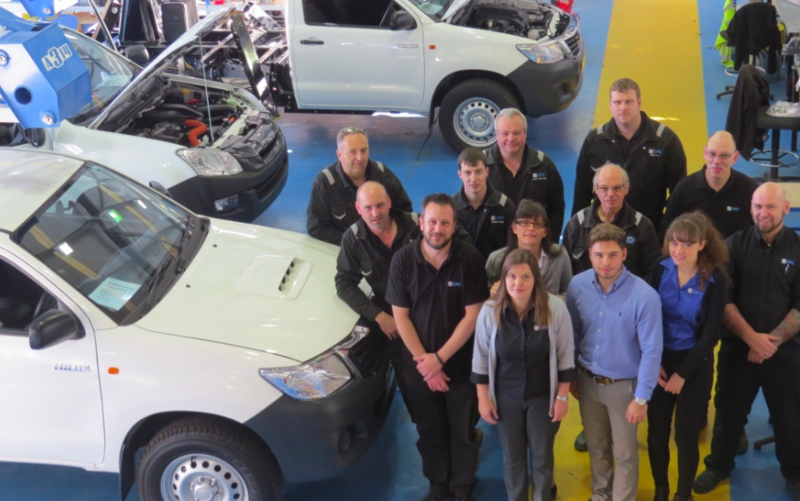 A £30,000 Velocity grant has helped a Kettering-based manufacturer of purpose-built platforms expand its operation, creating new jobs and giving them to chance to win a host of lucrative new contracts. Cumberland Platforms, based on the Telford Way Industrial Estate in Kettering, specialises in designing platforms and equipment to be used by utility companies to repair and upgrade equipment. Earlier this year it unveiled plans to purchase a second warehouse and, following a recommendation from the Manufacturing Advisory Service, approached Velocity with a view to help fund the cost of kitting the new building out. The £30,000 grant contributed towards the £100,000 investment, which has seen the purchase of an overhead crane, a fly press and a new welding station, allowing the firm to bring a number of processes in house – creating jobs and saving money on outsourcing contracts. Michela Murphy, Financial Director of Cumberland Platforms, said: “The grant has allowed us to speed up the whole process. We had a plan of where we wanted to be in 10 years time and we’re now three years ahead of schedule. “The money has meant we’ve been able to make immediate use of the new facility and we’ve also saved a lot of money on vehicle storage as we have more room to park the trucks. “As a result of the new equipment we have been able to bid for more work and have successfully landed a number of contracts. Our workforce has increased and we’re well placed for the future. Cumberland Platforms has grown from six staff and a £270k turnover in 2011 to a £5.5m turnover this year, employing 29 local people.